Domaine Gayda’s Flying Solo Blanc has the honor to be listed among the “Biggest Bargains” in this month’s publication of the Wine Spectator magazine. Southern Oregon Wines Win Big in San Francisco! At this year’s San Francisco Chronicle Wine Competition, these local, Southern Oregon wineries took home medals! The event, held every January, is considered one of the most prestigious wine judging events in the world. In 2014, more than 5800 wines from 1500 wineries from 25 states entered the competition. Having so many medal winners from Southern Oregon is another reason our region is gaining worldwide recognition for producing world-class wines. Congratulations to all for helping solidify Southern Oregon as a premier wine producing region! •Troon Vineyard, 2012 Dry Rose, $18; 2011 Cabernet Franc Reserve, $35. Our renowed Carmenere El Incidente 2010, was rated with 92 points at Wine Enthusiast magazine. To be published in March issue 2014. 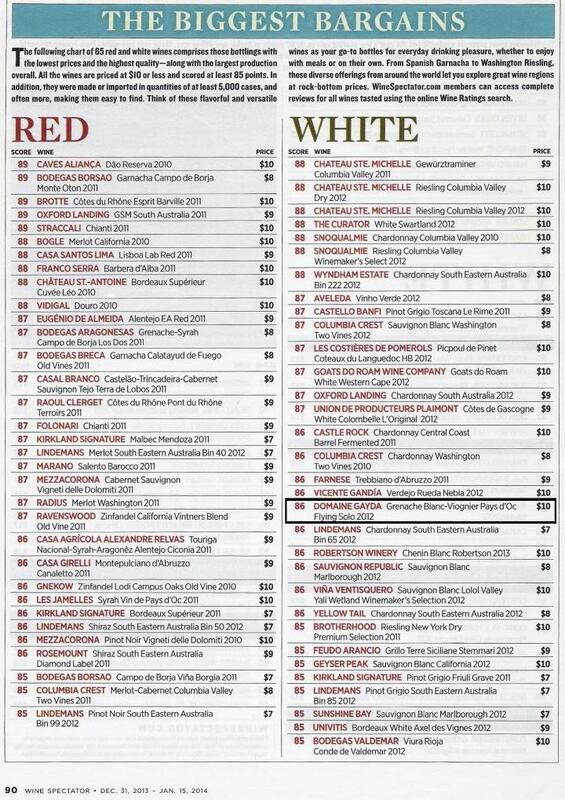 Single Vineyard Cabernet Sauvignon in Wine Enthusiast. December 2013 issue. 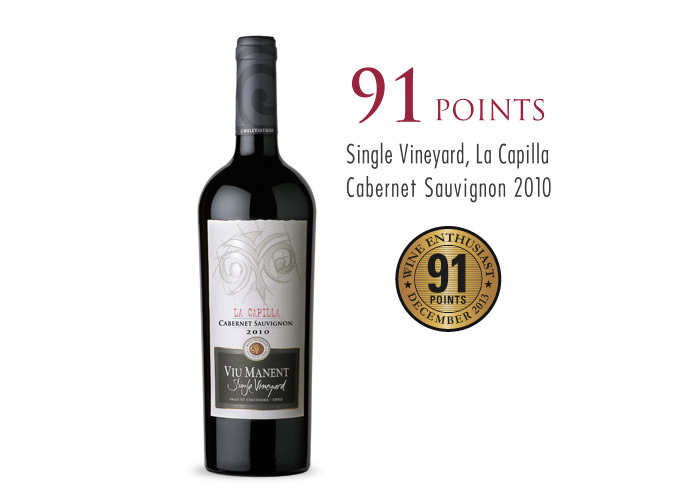 We are very pleased to comunicate the wine reviews for our Single Vineyard Cabernet Sauvignon, La Capilla Estate 2010, awarded with 91 Points, in the December issue of the prestigous Northamerican magazine Wine Enthusiast. Go to Wine Enthusiast review. In the following link you will find a printable PDF version of the Shelf Talker, for Sales promotion.